Big Head’s Trippy Gorilla is one of their strongest strains of cannabis seed available today. Did we mention this is STRONG?! As well as being very strong this strain is also easy to grow, suitable for beginners and experts the world over. Bringing together the multiple award-winning Gorilla Glue #4 and Big Head’s #1 is undoubtedly one of the best results we have had. Feed this amazing strain well and growers will be rewarded with a jackpot of scissor-jamming resin coated, dense buds. Trippy Gorilla is a Sativa dominant strain and her effects are swift, uplifting and exhilarating. Her relaxing, euphoric effects can be felt throughout the body and can also if desired, be taken further until you become couch-locked with a ridiculous grin fixed upon your face. Her scent is a mix of pine leaves and tropical citrus fruits with a very pleasant taste which lasts. 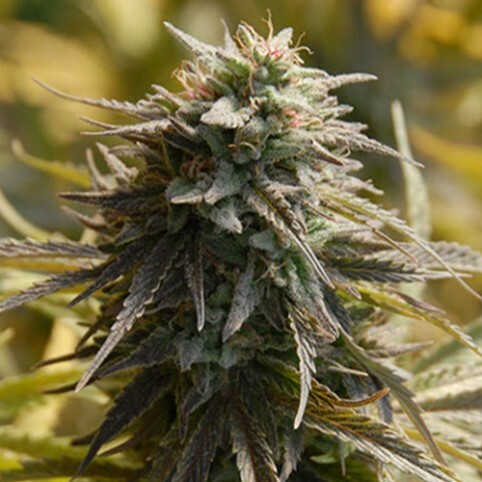 With Trippy Gorilla from Big Head Seeds, you can be assured of massive amounts of extremely high THC loaded buds, growers will be rewarded well. You can buy Trippy Gorilla cannabis seeds discreetly and securely from SeedMasters.com today!